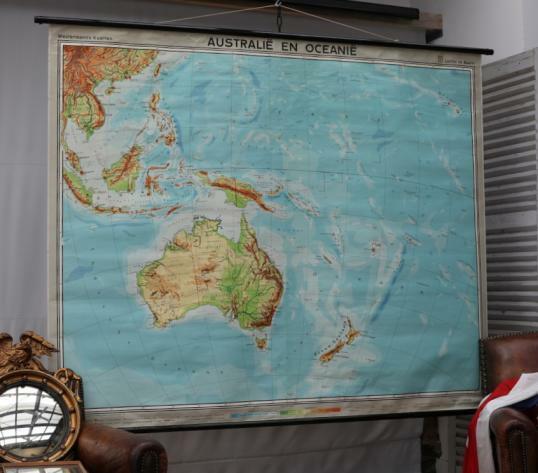 A very large French school map of the South Pacific, around 6 feet square. We found this map in Brittany in France. If you are interested in this piece or would like more details please call us on +64 9 529 1660 or email info@js.co.nz quoting #96-70.